Download a PDF of the current calendar (updated mid-month). Photos: If you have photos of a Club event that you would like added to our SmugMug gallery, please click here to email them to Bob de Bont so he can upload them. Club cancellation policy: Cancellations and non-attendance at events: For events that require payment (for entry, meals etc), if you cancel less than one week before the event, or do not attend when you have booked a spot, you may be charged in full for that event. 5/5/2019 North-Eastern Victoria: Three Lakes and a Mountain run ... A Sunday run around the beautiful Strathbogies, lakes Benalla, Nillahcootie and Eildon, and Mt Buller. Click here for the flyer with all the details. CAMS-approved event. 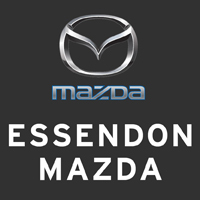 14/5/2019 Club: New Members' Night ... Essendon Mazda, 345 Wirraway Road, Essendon Fields. Details to come. 4/8/2019 Club event: Combined 2019 Annual Awards Presentation and Annual General Meeting ... A return to the "old days" when the Club's awards and annual reports were presented at one big event. Details to come. 6/10/2019 Club event: Mazda MX-5's "local" 30th birthday ... Join us for a day to celebrate the 30th anniversary of the 1989 Australian launch of the Mazda MX-5 NA. Details to come. 6/10/2019 Eastern Victoria: Event to celebrate the 30th anniversary of the MX-5's Australian launch ... Details to come.